You’ll fall in love with this blondie recipe! Chewy-gooey and fudgy, with a rich, caramel brown sugar taste. They’re the best blondies ever! Don’t you just love that crackly top? And that gooey center, so fudgy and buttery, with the deep, caramel-y brown sugar flavor? I find them completely irresistible! And the fact that they’re so easy to make, and infinitely adaptable is just the icing on the cake. Blondies are a simple bar cookie, similar to a brownie but without the chocolate. In place of the chocolate you get the most amazing brown sugar flavor. It almost tastes like caramel, or toffee, or even butterscotch. So scrumptious! And they’re great with all sorts of add-ins. For the bars you see here, I used white chocolate chips and hazelnuts. Yum! But you could also try throwing in a handful of chocolate chips, or M&M’s, or sprinkles (to make a funfetti version). Or any kind of nut! 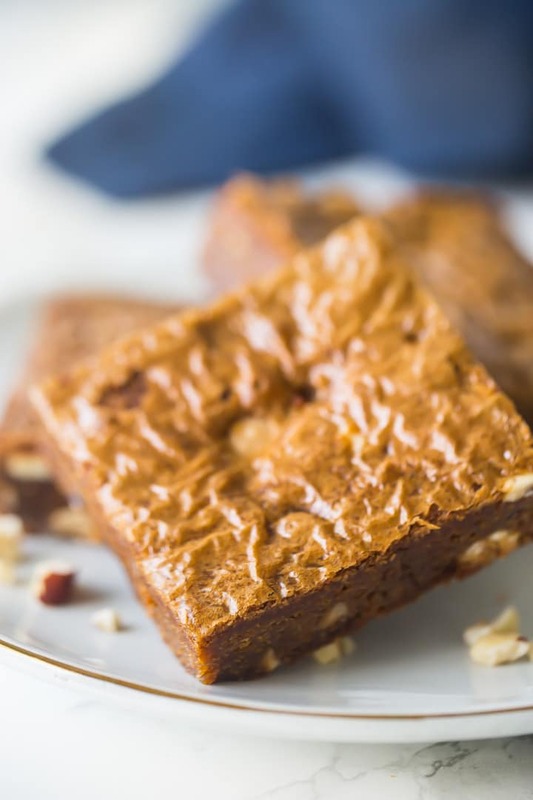 We love blondies with walnuts or macadamias. You can do any combination of chips, nuts, or candy. The possibilities are limitless! This is a really easy blondie recipe. Start by whisking the brown sugar, melted butter, eggs, and vanilla together until smooth. Then, add the flour, leavening, and salt. Toss in whatever add-ins you like, and bake it all up until crackly on top, chewy around the edges, and gloriously soft and fudgy towards the center. For a dairy-free option, use your favorite vegan butter substitute. I like my bars to be on the thicker side, so I usually bake them in a 9×9-inch square pan. 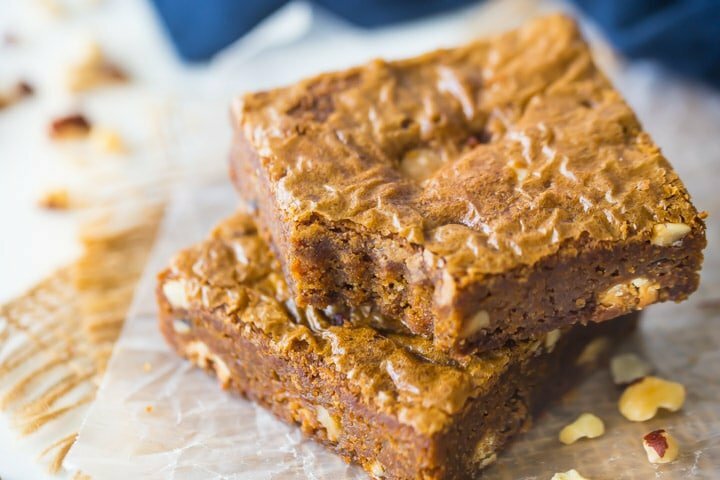 But these blondies can also be baked in a 9×13-inch pan. If you go that route, the blondies will come out thinner, and they probably won’t need to bake quite as long. You’ll know they’re done when the edges are set, but they’re still a bit soft in the center. 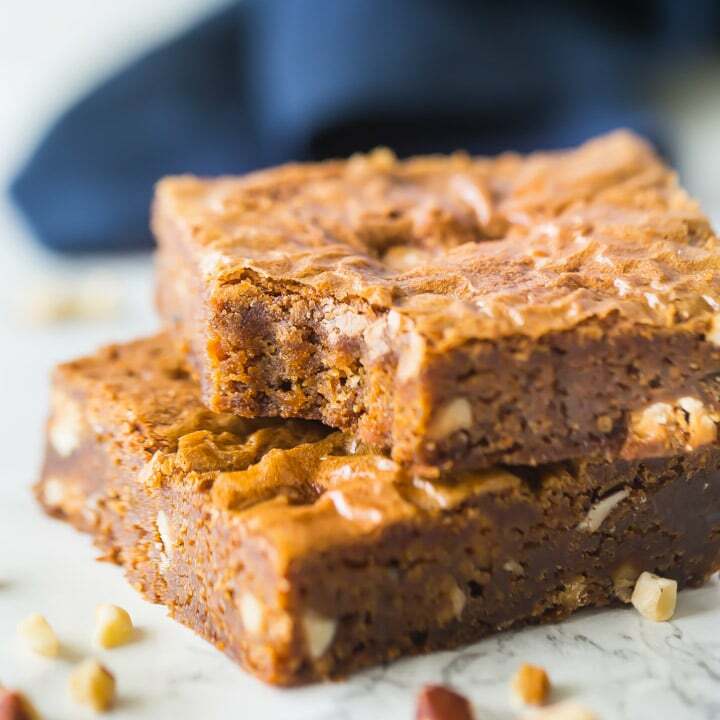 I hope you love this blondie recipe! And I want to know all about how you make it your own, so leave me a comment and let me know what add-ins you used, if any! You'll fall in love with this blondie recipe! Chewy-gooey and fudgy, with a rich, caramel brown sugar taste. They're the best blondies ever! Mist a 9x9-inch baking pan with non-stick spray, and line it with parchment paper. Place the brown sugar, butter, eggs, and vanilla in a large bowl and whisk until smooth. Fold in the flour, baking powder, baking soda, and salt. Stir in chips/nuts (if using), and transfer the batter to the prepared baking pan, smoothing it in an even layer. Bake for 40-45 minutes, or until set around the edges but still soft towards the center. Such yummy looking bloodies! Trying these ASAP! Just followed the recipe and the blondies have fallen apart :(. Could you also provide the ingredients measure in grams for non US based readers please? 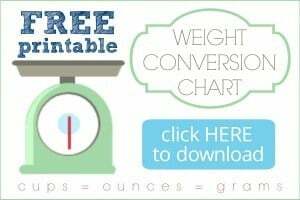 Please refer to the free weight conversion chart found in the sidebar of this site. Also be sure to let the blondies cool completely before cutting, they are extremely tender when warm. Oh my goodness! Thank you so much! I’m a 12 year old baker, allergic to cocoa powder, and I’ve always wanted to make brownies, thank you for this magnificent recipe! I’m so happy you like it Elena! So nice to year from a young baker. 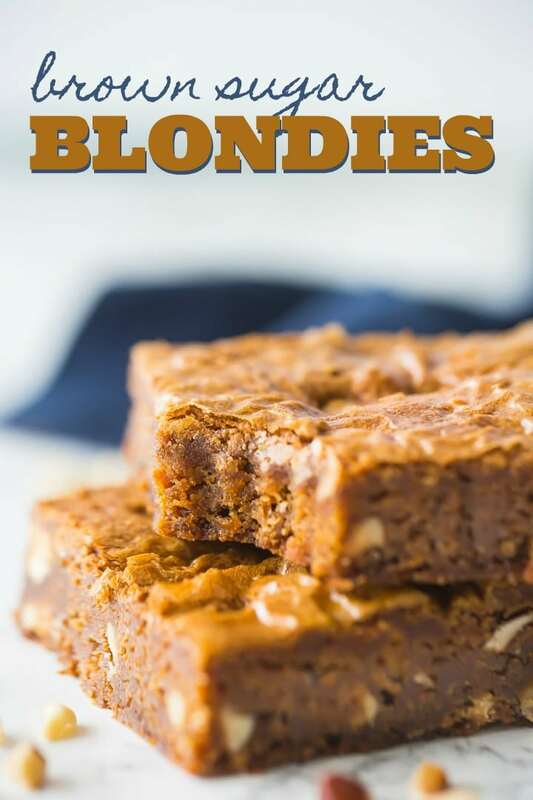 Hope you enjoy the blondies and thanks for the positive feedback! Thanks for a delicious recipe! I used only dark brown sugar (no light) and I don’t have a 9×9 inch pan, so I first loaded the batter in an 8×8 inch pan and found that it was going to be way too thick to cook through, so I switched to a 9×13 inch pan and they turned out beautifully, not too thin at all. Definitely a keeper. I’m so glad to hear that Sarah! So happy you enjoyed the recipe. Thanks so much for the feedback! Made these for an event this morning, using all crushed Butterfingers in lieu of the chips or nuts. Did the recipe x 4 1/2 and used three 9 x 13 baking pans. Used spray only, no parchment and they popped out of the pan like a dream after completely cool. 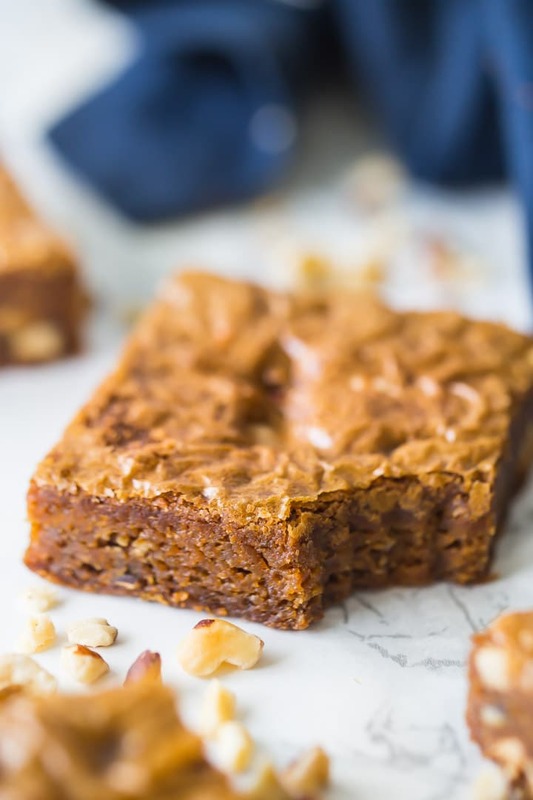 Perfectly chewy and exactly what I have been looking for in a recipe for blondies. Oh, used all golden brown sugar. Thanks for the great share! My pleasure Laura! So happy to hear they worked well for you. I love the idea of using butterfingers! Thanks for the 5-star rating! I did make this tonight and it looks incredible, I can’t wait for my family to try these, tomorrow.